Just how much bigger will Texas’ big cities be in 25 years? A new studyfrom LawnStarter.com reveals the expected population growth for Texas’ five biggest cities by 2040, and a surprising North Texas spot ranks No. 1. “The Texas Water Development Board’s projections indicate Cowtown’s headcount will approach 1.5 million in 2040. 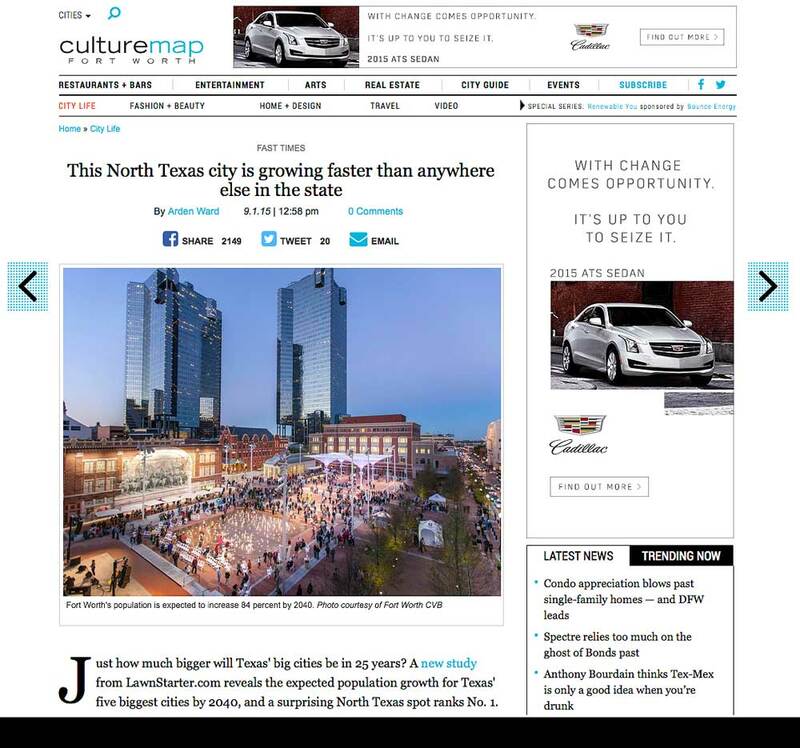 Translation: a population surge of nearly 84 percent from 2014 to 2040.” Fort Worth boasts a strong job market, proximity to DFW Airport, and a vibrant downtown.